held in 2016 / 2017 for logo design use at the 2017 Festival has now ended. Please check back when the winners are announced, on December 1, 2016! Important Dates: Friday, October 7 from 5-7 pm - Community Welcome! Entities will be on display, complimentary beverages and small bites. Entries displayed from October 7 through October 17. 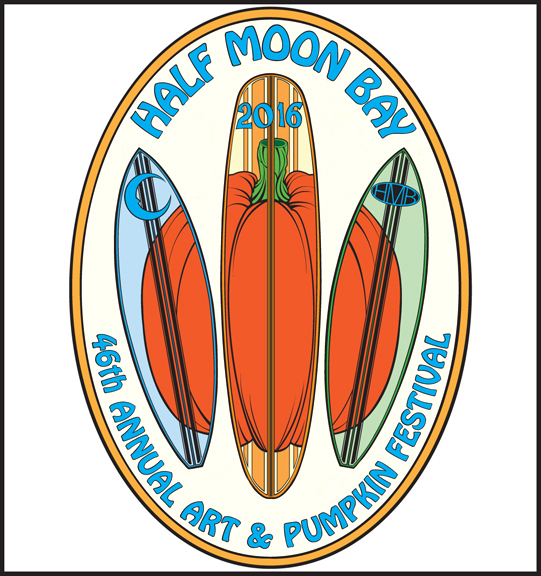 © Copyright Half Moon Bay Art & Pumpkin Festival Logo Contest in conjunction with Miramar Events . All Rights Reserved.